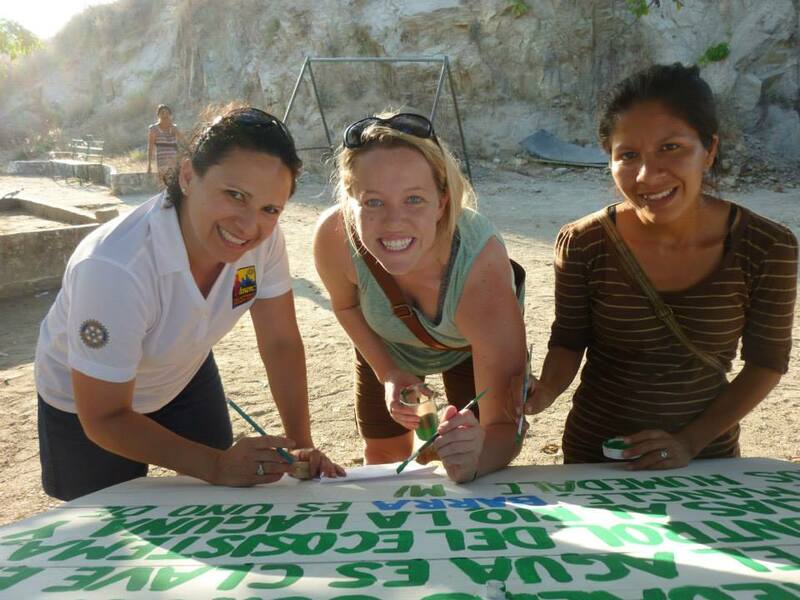 The next day, the group headed to San Agustin, Oaxaca to clean up the mangroves. Winter is the dry season, so we took the opportunity to pick up as much trash as possible before it would reach the ocean. 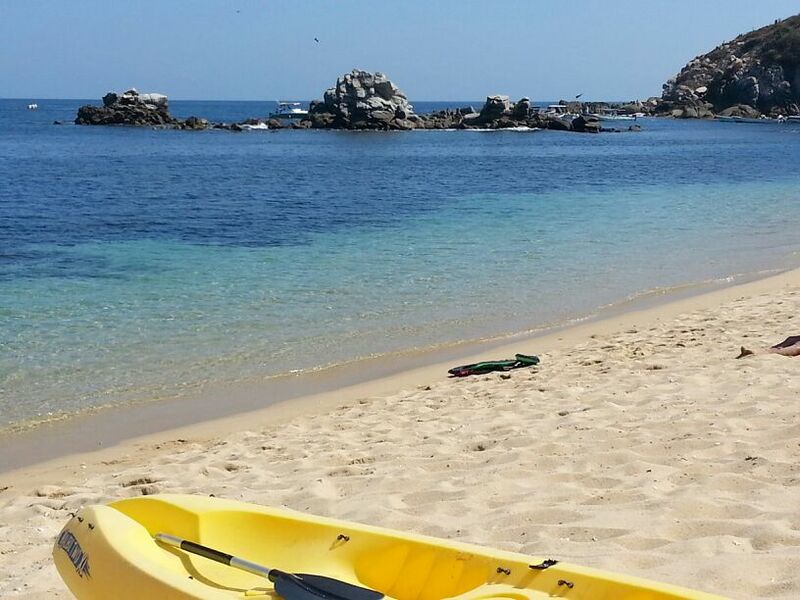 San Agustin beach is part of the Huatulco National Park system and it’s home to about 250 people who depend on a healthy ocean. 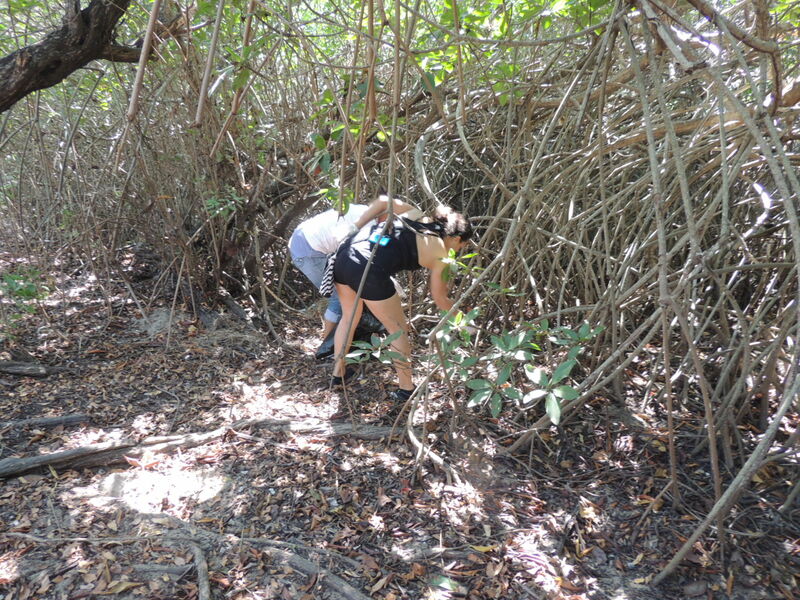 Unfortunately, the mangroves were filled with plastic bottles, bags, candy wrappers and toilet paper. 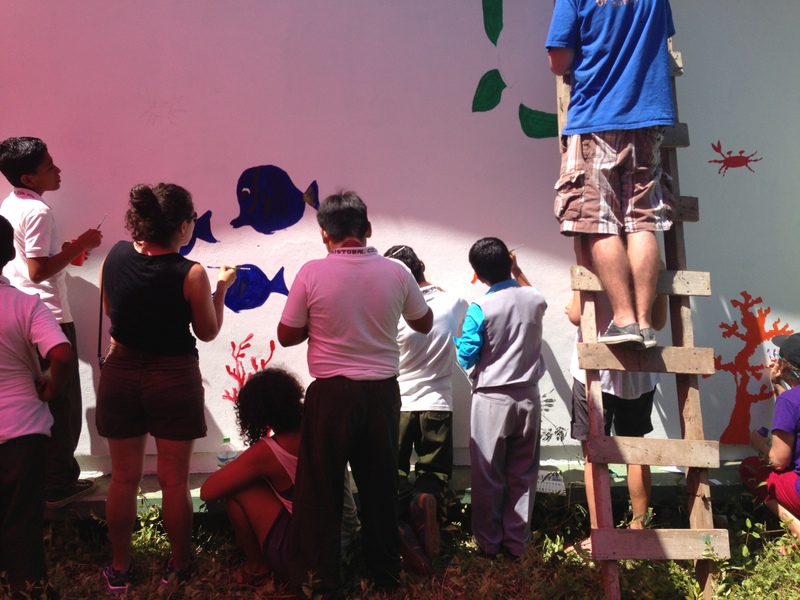 Educating the community about ways to keep the area clean and healthy has been a big part of our job in Oaxaca. 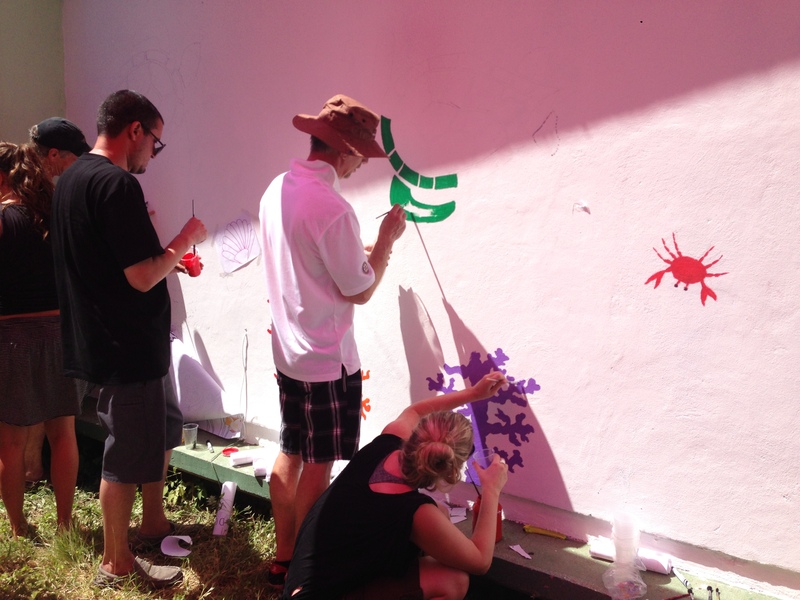 Educating our youth will bring positive changes for generations to come. 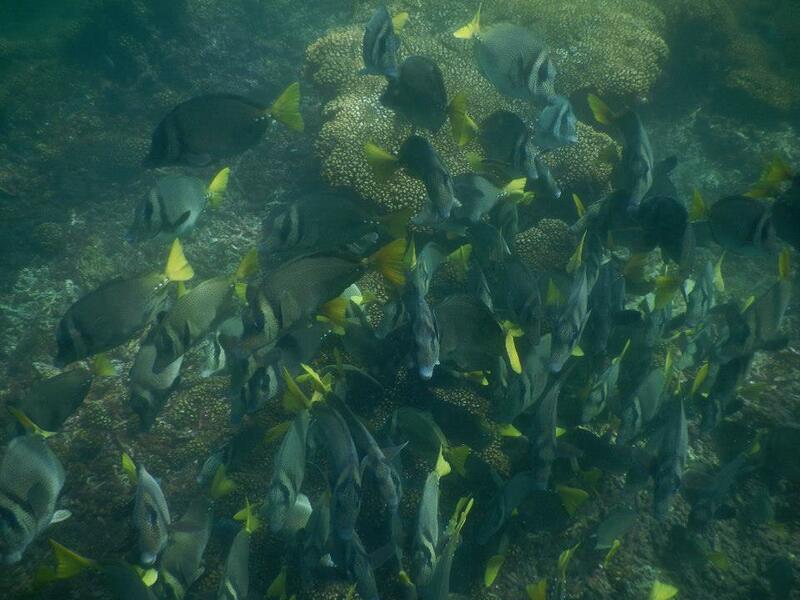 Afterwards, we took a snorkeling tour with a local guide to see the beauty of the San Agustin reef! 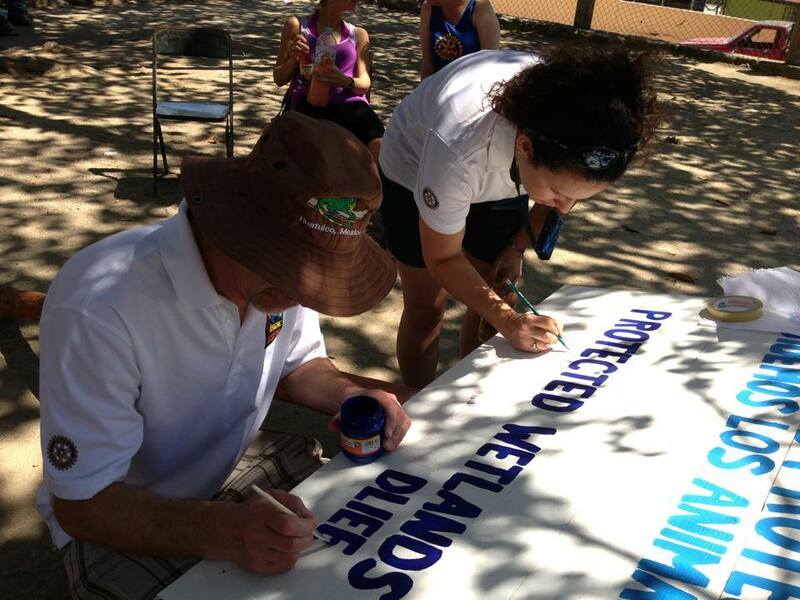 It was truly amazing and gave perspective on what WILDCOAST and the volunteers are trying to conserve! 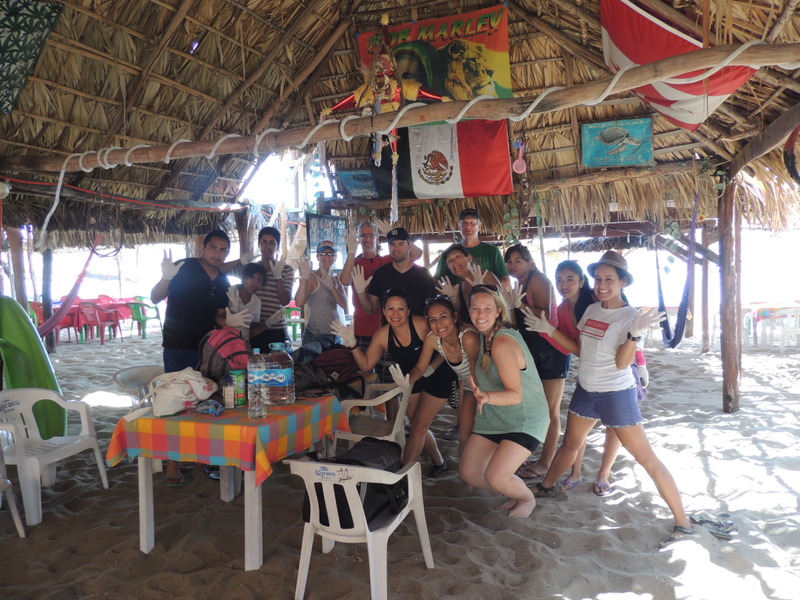 On the last day of the trip, the group went to Mazunte, Oaxaca. Mazunte is infamous for once being the location where sea turtles were massacred for their meat. Now it’s the location of the Centro Mexicano de la Tortuga, a sea turtle Aquarium and conservation center. 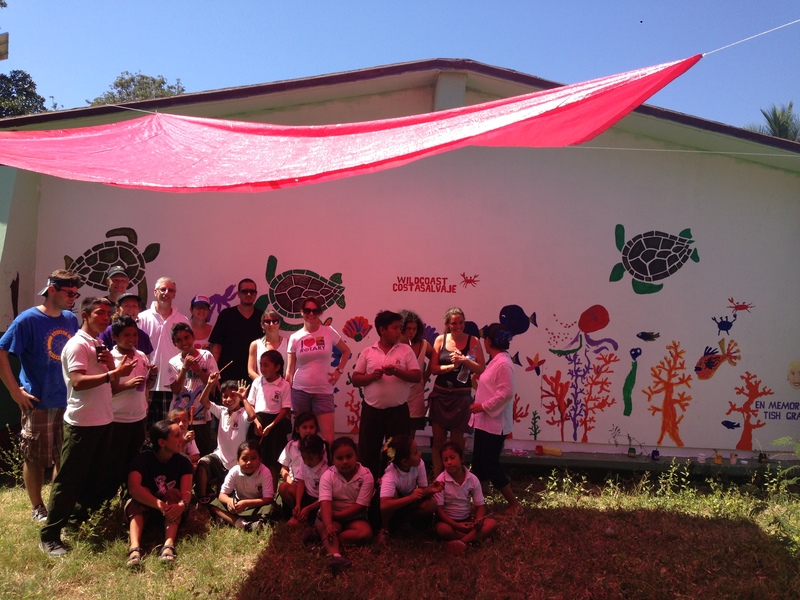 Volunteers visited the only elementary school in Mazunte, where WILDCOAST gave a talk to the students about the importance of conserving sea turtles. 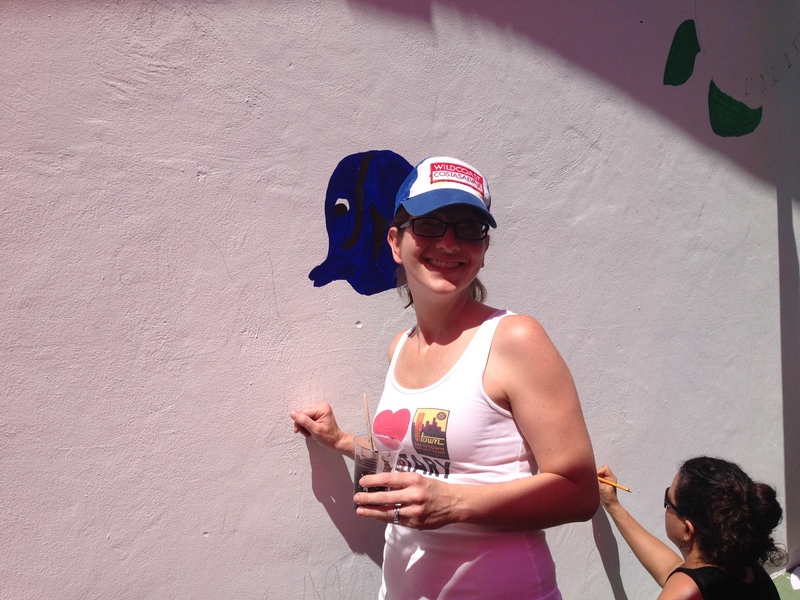 The Rotary Club, WILDCOAST staff, locals and students took part of the creation of an ocean themed mural at their school that depicts the different kinds of marine animals you can find in the area. 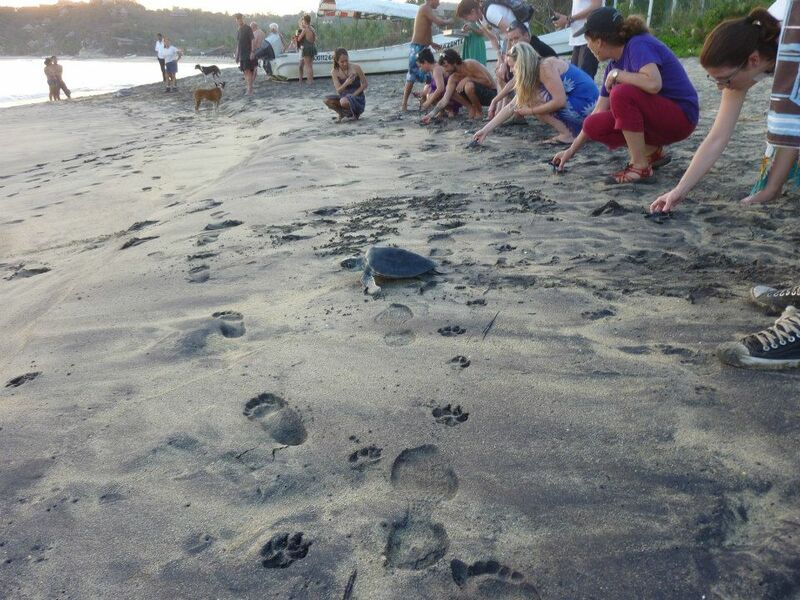 In the afternoon, our volunteers had a chance to experience sea turtles in their natural habitat. 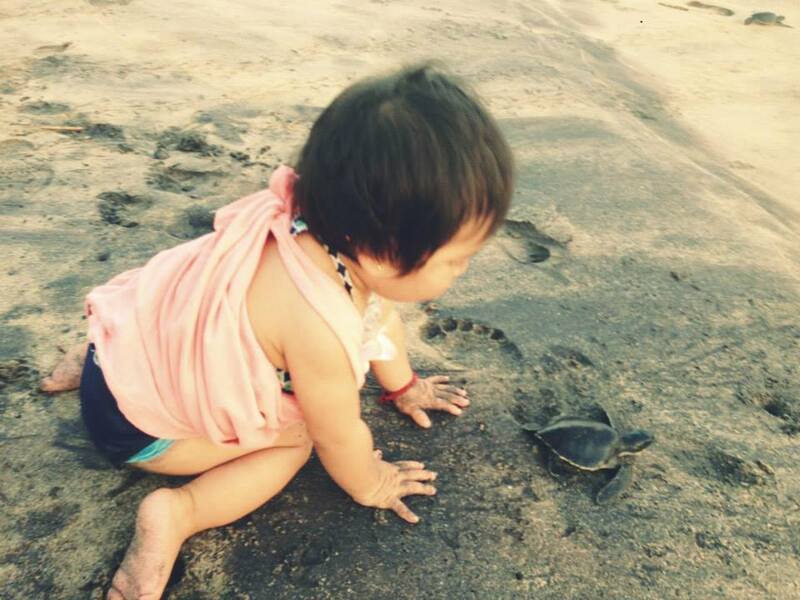 Thanks to the Centro Mexicano de la Tortuga, we had a chance to release about 18 baby sea turtles to the ocean. The aquarium had kept them for a few months until they were big enough to have better chances to survive in the wild. 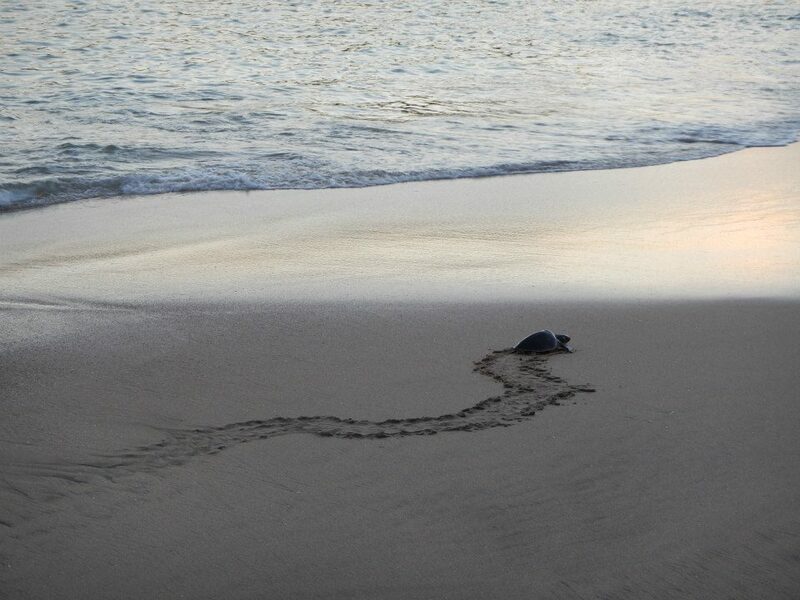 Out of 1,000 sea turtles, it is believed that only one will make it to adulthood. 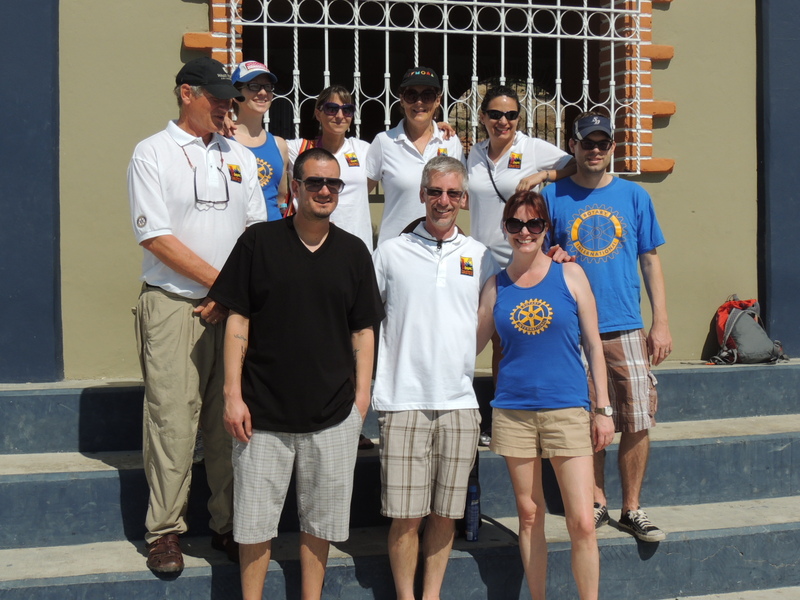 Special thanks the locals of Barra de la Cruz, San Agustin and Mazunte for giving us the chance to make a difference in their community. Also thank you to the Centro Mexicano de la Tortuga and their staff, Dr. Carlos Rodriguez Montalvo and Dr. Martha Harfush.